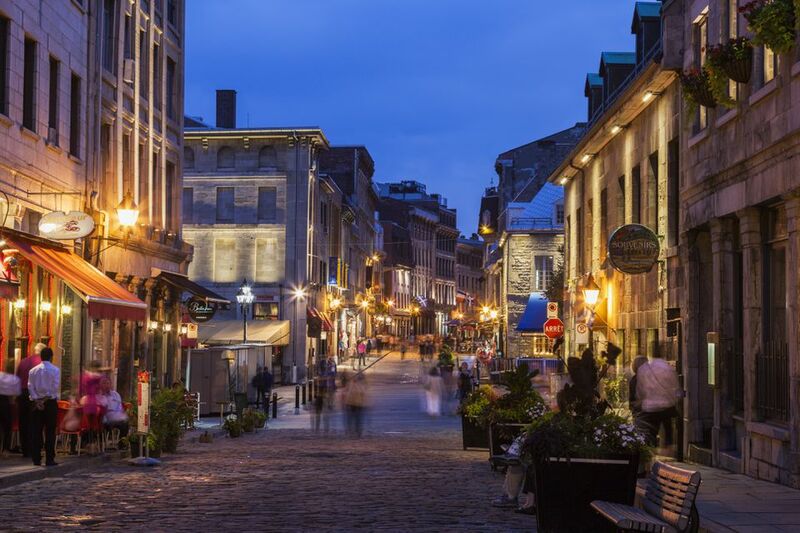 Our 10 Free Things to Do in Montreal list barely covered all the amazing freebies the city has to offer. Here's another compilation of additional free things to do in Montreal, focused especially for those of you having a hard time making ends meet. Don't let your tight budget hold you back from enjoying life. As soon as the weather warms up, a time warp gears up as locals showcase their hottest rides at Montreal's giant orange beacon -- the Orange Julep -- three nights a week. Wednesdays are the official go-to night for muscles and classics: owners compete as onlookers vote for their favorites of the evening. Thursdays attract modified, pimped-up cars and Tuesdays are nondescript. But what these nights share in common is they attract muscle cars -- think Panteras, TransAms, Cobras -- so if you're craving the sight of '60s Corvettes over the latest concept Ferrari, you're at the right place. All nights are free. However, the Julep's no-longer-mystery-drink and satisfying poutine are not. Ranked as one Montreal's most beloved landmarks, St. Joseph's Oratory is a place of miracles and unexplained phenomena that just a few years ago, was home to a saint. A pilgrimage site for Catholics in search of healing and support, it's also an architectural sight for sore eyes, a holy place that welcomes anyone of any faith, attracting two million visitors every year. It's a challenge to find someone in these parts who doesn't know about Tam Tams' drum circle on Mount Royal. It's been around for over forty seasons and lets you experience one of the most inclusive, peaceful and fun freebies in town: Montreal's tribal tradition in the park, running roughly May through October. Enjoy several free recitals every week, often every day, courtesy of McGill University's Schulich School of Music. Offering a mix of musical solos, opera, chamber ensembles, orchestra concerts and child wonders covering classical, experimental and jazz, the season is hopping October through June every year. Concerts wind down in the summer, but there are still a couple of offerings in July and August. Can't afford a gym membership? Join the club. Fitness centers can be anything but cheap. YMCA is well aware of that, so much so that the community organization proposes free membership in exchange for your time: volunteer roughly seven hours a week as either welcome staff, front desk clerk, trainer, tutor, etc. and some branches, including the Hampton and Westmount YMCAs, will give you free access to their facilities. Simply show up in person and find out if your local branch offers a volunteering opportunity with a free membership program. If accepted, you'll be placed under a three-month probation period and if the staff is happy with your contribution and commitment to helping the community, the trial will extend to one year, subject to renewal. The epicentre of free summer concerts signed Montreal Jazz Festival and Les Francofolies as well as a gag destination during Just for Laughs, this lovely patch of concrete adjacent the Montreal Contemporary Art Museum and Place des Arts is a great people-watching/urban sunbathing destination from April through October, a kid-approved one at the that, courtesy of its gushy, unpredictable fountains, a programmable set of 232 water jets. Pack a lunch, drop by on a warm sunny afternoon and take in a few whiffs of one of the city's more interesting pit stops. Every Wednesday from 5 p.m. until 9 p.m., visitors can enjoy the fruits of founder David Ross McCord's labor, free of charge. Never been to the McCord Museum? Then you've never seen the second most important period costume collection in Canada nor the museum's over one million objects, images, and manuscripts depicting life in Canada, with artifacts dating as far back as the 11th century. Strapped for cash but aching for a dose of architectural culture? Mark Thursdays after 5:30 p.m. on your budget-conscious calendar, a longstanding freebie tradition at the Canadian Centre for Architecture, one that includes access to its current exhibits and outdoor grounds (weather permitting). And for a curry-based pick-me-up prior to or after your visit, consider dropping by the Montreal Curry House's new location, just blocks from the CCA. Ever wonder what a stinky city dump would look like if it was turned into a multi-acre park? Stop wondering and start sightseeing with a guided tour of the St. Michel Environmental Complex, an award-winning ecological program that will effectively turn one of North America's largest landfills into 192 hectares (474 acres) of green space. The tour is free if you're a Montreal resident, otherwise, a nominal fee is charged. While you're there, drop by the Complexe's neighbor and partner, the Cirque du Soleil, where its international headquarters are located. Cirque visits are free of charge for everyone who's content to visit without a live guide. Reservations required.